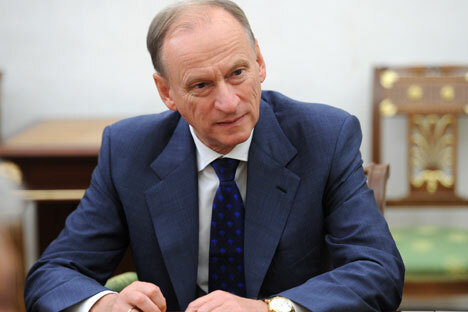 Russian Security Council Secretary Nikolai Patrushev. Beijing will host the next round of the consultations. Russian Security Council Secretary Nikolai Patrushev and Secretary of the Central Political and Legal Affairs Commission of the Chinese Communist Party Meng Jianzhu agreed at their meeting in Grozny on May 23 to hold a new round of Russian-Chinese strategic security consultations in Beijing in September, Russian Security Council spokesman Yevgeny Anoshin told Interfax. “Nikolai Patrushev and Meng Jianzhu exchanged opinions on the situation in the Asia-Pacific region. They discussed further cooperation between Russia and China in the fight against terrorism and in ensuring public order and countering color revolutions,” Anoshin said. Grozny is hosting an international meeting of high representatives for security issues on May 24-25.